Oral hygiene is very important. Today’s fast lifestyle and lack of time to devote attention to yourself undoubtedly leaves a scar to your overall health and also to your good oral hygiene. There exists a cultural pressure to immediately go for the looks part of oral health by choosing best whitening strips, whitening your teeth and call it a day. But that should be just a finishing touch and not something that should be done as an end goal in itself. Healthy teeth not only enable you to look good and feel good, but also to eat and speak properly. The consequence of poor oral hygiene is the most commonly tooth loss, difficulty chewing and poor aesthetics. For diseases of the teeth (caries) and the supporting tissue (gums and periodontal diseases) and as for all other diseases as well, it is much better to be safe than sorry! Therefore, we will now talk about what it is that each of us can do to completely prevent, or at least greatly put off, the formation and development of these diseases. Caries is today, regardless of the good knowledge of the nature of the disease and the possibilities for its effective prevention, still the most widespread disease of our civilization, which affects up to 90% of the entire population. In contrast, possible prevention of diseases of the oral cavity is over 95%. Daily preventive care will help stop problems before they develop and is less painful, expensive, and worrisome than treating problems that are allowed to develop. For dental emergencies there are some natural ways you can get some tooth pain relief before you get the chance to visit a dentist. Good Oral hygiene has been, from time immemorial, the best way to prevent caries and periodontal disease. It is the basis of every dental prevention! Today about 90% of people in USA and Canada brush their teeth regularly! The main etiological factor for caries and periodontal disease is DENTAL PLAQUE – deposits originating from the food to the biting and side surfaces and gums. The amount of plaque and the number of bacteria in it are directly connected with individual caries risk. Removing plaque is the main goal of toothbrushing! Good Oral hygiene reduces the amount of plaque and microorganisms throughout the oral area. It is very important to remove and prevent the formation of dental plaque (soft deposits on the teeth) which, if not eliminated, allows deposition of calcium and the creation of tartar and thus opens the way for the development of gums and periodontal diseases. 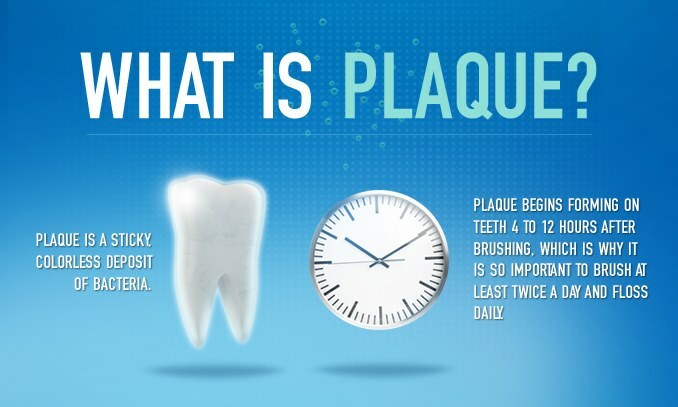 What exactly is dental plaque? Dental plaque is a non-mineralized accumulation of large amounts of microorganisms in organic essence, basically, built of sugar. One of the products that can help with lowering your sugar intake is xylitol gum. Check out our Xylitol Products section. It looks like a slimy creature that is difficult to remove and can be successfully removed only by mechanical cleaning. It is inconvenient that this colorless, invisible to the naked eye, but by coloring it with special colors can be easily observed. Dental plaque is a sticky and transparent film of variable thickness, which adheres to the surface of the teeth, gums, dentures, and even the tongue. It contains a large number of different types of bacteria that can cause caries and are the basis for the formation of tartar and trigger inflammation in the gums (gingivitis) associated with the development of periodontal disease that leads to loosening up and loss of the teeth. Dental plaque can be localized on the teeth, the top edge of the gums, in the space between the teeth and gums in healthy people, as well as in periodontal pockets. All of these potential problems can be prevented by daily regular and fundamental implementation of good oral hygiene. 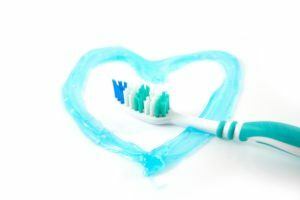 With your own efforts, you can influence your oral health and can remedy this problem by using only the best products available today in the market. To remove the accumulated plaque and reduce the number of bacteria is the first and most important measure you can take in preventing caries, to follow a proper and complete oral hygiene instructions in the most accessible, the most effective and cheapest way. The aim of all measures of oral hygiene instructions is simple: remove as much plaque and postpone its re-creation for the longest period of time possible. To our misfortune, dental plaque again begins to form almost immediately after it is removed, that is, from 5 minutes to a maximum of 4 hours after a thorough cleaning of the teeth. Between your regular visits to the dentist, there are important steps that you can take to greatly reduce the risk of caries, gum disease, and other dental problems. 1. Brush your teeth at least 2 times a day using good toothbrush. We recommend Nimbus Toothbrush. (for eco-friendly version you may like the bamboo toothbrush) and toothpaste. 2. Every day, clean the spaces between teeth at least once a day with the dental floss and interdental brushes (especially at bedtime). Read our best interdental brushes review for top picks on the market. The bacteria and dental plaque that cause tooth decay are still located between the teeth even after a thorough cleaning with a brush. They can only be removed with dental floss or with interdental brushes. Should You Use A Waterpik Before Or After Brushing Teeth? How To Use A Waterpik? 3. Every night before bedtime include after your ritual of brushing teeth, rinsing your mouth with mouthwash to extend a protective effect on your teeth at night. See our best mouthwash review to help you choose some excellent mouthwashes. 4. After toothbrushing, do not eat any more food. 5. Try to eat a balanced diet with more fiber and dairy products, and of course, avoid sweets especially between meals. If you must eat them, and I myself am guilty of that one sometimes, then it is best to eat immediately after a meal and then brush your teeth. 6. Ideally, every six months you should do the professional teeth cleaning, and of course check the teeth, the existing fillings and prevent other potential dental health problems. To sum up – good oral hygiene instructions include regular and thorough teeth brushing with toothpaste, at least twice a day – in the evening before bedtime and in the morning after breakfast, and the best would be also after lunch, especially after consuming sweets. In addition, it is necessary to clean the interdental spaces with dental floss or with interdental toothbrush and also use the mouthwash. The result is having great oral hygiene and a mouth that looks and smells healthy. There is no bad breath. In order to have a preventive role, oral hygiene instructions must be accurate and complete! More specifically, all remnants of food and bacterial plaque must be removed, not only from the surface of the teeth but also from the area between the teeth and under the gums. Which toothbrush is the best? 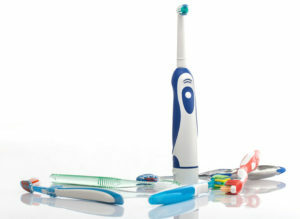 Excellent toothbrush is one of the most important accessories for good oral hygiene. You should get the toothbrush with best characteristics as it will be more effective in removal of the dental plaque. When we talk about the best manual toothbrush, for daily use it is recommended to use soft toothbrush, as they are quite effective in removing dental plaque, while not hurting the surface of the teeth or gums sensitive mucous membrane. The toothbrush head should have a maximum length of 1 ¼” and width of ⅜”, with the fibers not exceeding a length of ½” and should all be the same length. The toothbrushes are made from natural or synthetic fibers. The better ones are synthetic because they do not absorb water, do not swell and do not change shape. They are also non-porous and there is no possibility of bacterial leftovers on them. The ideal toothbrush does not exist yet, but the best recommended ones are electrical brush with dense, soft and flexible fibers. Good removal of plaque on the teeth is achieved by rotating or vibrating toothbrush movements. Back surfaces can be much better reached with flexible brushes, compared to hard toothbrushes. If we are trying too harshly to clean spaces between teeth to remove plaque, there is a possibility to cause injury to healthy gums. Therefore, there are techniques of brushing whose main emphasis is to prevent that damage. Which toothpaste is the best? Primarily – the role of toothpaste is, by using appropriate toothbrushes for the removal of plaque, the antiseptic effect in the fight against bacteria and getting rid of bad breath. That is already more than half the work done. Professionals in dentistry usually distinguish two types of toothpastes. One is so called “ordinary” and the other one is “therapeutic” type. Ordinary toothpastes are those which can be found everywhere in the marketplace. Unfortunately as the case was with toothbrushes, there are numerous varieties of the toothpastes. They are good for everyday use and it is very difficult to sort out which is the best toothpaste without having deep knowledge of the matter. For our little ones it is usually advised to use pastes that have a “better taste”. You should use more fruity one, than ones with menthol taste. Children often do not like strong flavored toothpastes. Therapeutic toothpastes are usually not for the daily use, and we use them to achieve adequate positive action on dental health. The answer lies in the fact that just toothbrushing is not enough to achieve personal oral hygiene. Just brushing your teeth with toothbrush and toothpaste is not enough because it only removes up to 70% of plaque. You should know that brushing is only the first phase of a personal oral hygiene. Toothbrushes are the main tool of mechanical removal of plaque, but by no means the only way of removing the plaque. In fact, a toothbrush cannot reach some tooth surfaces within our oral cavity. Most often, the first changes in the gums do start to occur in these so-called interdental spaces, which are located between the teeth. In order to remove food leftovers and bacteria that accumulate in these inaccessible areas, it is necessary to brush them with special toothbrushes and other tools for cleaning these interdental areas. Flossing and interdental brushes maintain the health of the gums and reduce the amount of plaque on the teeth and below the gum line. These brushes can remove up to 95% of plaque in the interdental spaces. For optimal gum health, regarding brushing and flossing, it is essential to establish a habit of oral care. However – just toothbrushing and flossing are not enough to achieve complete oral hygiene. Just as there are various types of skin or hair, so are the oral cavity different in each individual and require special attention. For the best care, it is necessary to have a very good knowledge of the characteristics and composition of the product that will suit you personally as well as to schedule your daily oral hygiene, including a use of the mouthwash. If necessary for you, use a special WaterPik. For teeth whitening, you can use products like Zoom whitening, or check out our best teeth whitening toothpaste review. What is very important to correctly maintain oral hygiene? Brushing with a toothbrush and toothpaste is the only efficient way to maintain oral hygiene. It is necessary to use excellent toothbrush and toothpaste to brush your teeth often enough and to do it long enough. It is crucial to use the other remaining tools available, as well as to apply the correct technique of brushing. 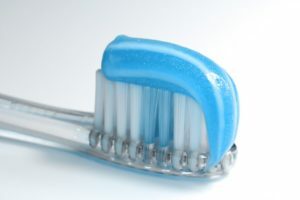 As far as the frequency and length of toothbrushing are concerned, teeth should be brushed after each meal with a minimum being in the morning and in the evening. It should last at least three minutes. After a snack, if there is no opportunity to brush your teeth, you might want to rinse your mouth with water because it at least partially removes plaque from the teeth. 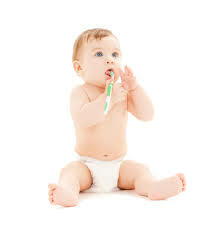 Children’s dental hygiene includes the use of children’s toothbrushes, toothpaste for children and baby teethers among other methods and products. There are few of them that are in usage, but the fact is that the best one is the one that most completely cleans the teeth! The most commonly recommended method is so called Bass vibration method which is also the safest. The brush is placed in parallel with an array of teeth and at an angle of 45 degrees relative to the longitudinal axis of the tooth, where as a portion of the fiber has to be on the gums and the other part on the teeth. Then brush gently, moving 2-3 times from side to side to allow toothbrush fibers to entered the spaces between the teeth and then pulls up in the lower jaw, or down in the upper jaw. On the inside teeth surfaces (lingual and palatal), toothbrush should be placed vertically forward, and parallel to the sideways of dental arches. The movements are the same as before. At the end, biting surfaces are brushed by using circular motions. In addition to oral hygiene, it is very important to prevent periodontal disease and removing of bad habits and all other factors that promote the development of dental diseases. Most of all smoking, then chewing only on one side and the use of soft food, mouth breathing, various anomalies of the position and shape of the teeth and many other diseases, not just the mouth and teeth, but also the whole organism. Why to trust cosmetic dentistry to get a perfect smile? Clear Braces vs. Invisible Aligners—What’s the Difference? 7 ways bad oral health can impact our life? What Is It Really Like To Have an Invisalign Treatment as an Adult?